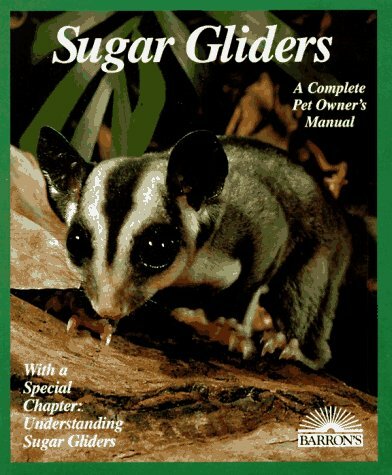 The Australian Feather-tail Glider has the scientific name of Acrobates hygmaeus. Its other common names are Pygmy Glider, Flying Mouse, Pygmy Phalanger and Pygmy Gliding Possum. This cute little creature is found on the eastern seaboard of Australia. It occurs from Cape York in the north of Queensland through New South Wales and into Victoria and South Australia. In inland areas, it is found in dry woodland and scrub areas although its preferred habitat is tall eucalypt forest. The feather-tail glider is a marsupial, equal in size to a very small mouse. The length is 65 to 80mm. The flattened tail is almost equally as long. Weight ranges from 10 to 14 grams. The ears are quite large and round and there are dark patches around the eyes. The pelage is a mid-grey/brown mix with the lower surfaces lighter. 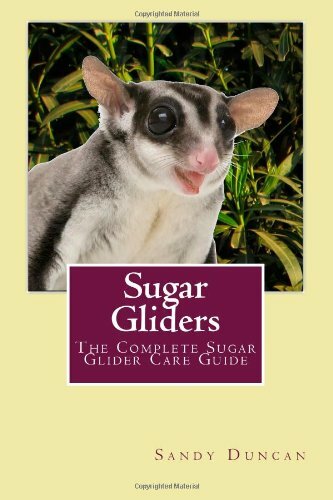 of care of sugar gliders. In common with other gliders, there is a membrane between the fore- and hind-legs. However, this extends only from the elbow to the knee whereas many gliders have the membrane attached at the wrist. The membrane is fringed with long hair giving increased body surface. This allows the glider to glide for up to 25 metres. The legs are extended as they launch themselves from a branch. The membrane and flattened tail act as a parachute. Other adaptations to its way of life include fur-covered feet which contain numerous sweat glands. The moisture from these sweat glands increases surface tension. There are large pads on the toes. These have serrated grooves on the undersurfaces. The pads act like suction cups and give good grip on branches. In addition, the tail is reasonably prehensile. It acts as a rudder when the animal is gliding and assists in braking. It is also able to grip small branches. The tail looks like a double-sided comb because of the long stiff hairs grow horizontally from the sides. sugar glider happy and healthy. These tiny creatures have trouble with heat retention. When the weather is cold or during periods of food shortages, the glider goes into a state known as torpor. Although similar to hibernation, torpor only lasts for a short time. Torpor is common to many small types of possum. Heart rate, respiration and metabolism all slow down. Body temperature drops to almost equal the external temperature and the glider becomes unresponsive, entering an almost comatose state. This species appear to live in communal groups of up to thirty. They build nests in the middle of palms, tree ferns or stag horns. Feathers, shredded bark and leaves are used to line the nest which measures 6 to 8cm and is spherical and closed. They may also commandeer the abandoned nest of another animal. The feather-tail glider is omnivorous eating nectar, pollen, insects, spiders, sap and flowers. In tropical regions, this species breeds all year round. In the southernmost parts of its range, it breeds in spring and summer. Normally two to three young are born. As with all marsupials, the babies are blind and helpless. They clamber to the mother's pouch, attach themselves to a teat and continue their development. The female may become pregnant again while the previous litter is still in the pouch. There is no obvious sexual dimorphism ie sexes are similar. The lifespan in the wild is believed to be around four years. The feather-tail glider is tiny and is preyed on by kookaburras, currawongs, feral cats and foxes. The feather-tail glider was featured on one side of the Australian 1 cent coin which has now been withdrawn from circulation. The first European zoo to successfully breed the feather-tail glider was the New Zoo in Poznan, Poland. Despite its size, the feather-tail glider is coping well in the world and is classified as 'of least concern'.